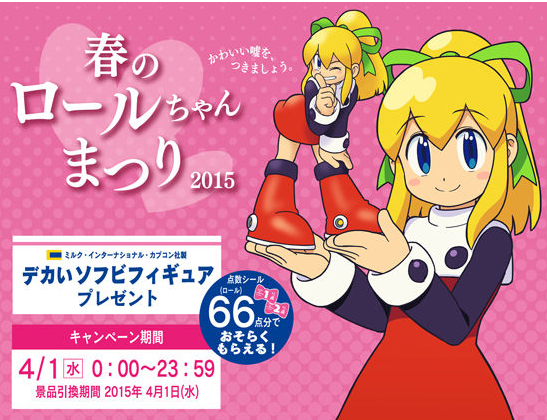 Rockman Unity's getting in on the trickery spirit this year with the unveiling of the "Spring Roll-chan Festival 2015". It's a celebration of Roll in all her splendor. There will be food and merchandise; figures, key chains and stuff! It's all Roll and it's all not real... or is it? It's been a little while since we last heard from the folks over at Team MMBN3D about their Mega Man Battle Network project. But now the game is taking shape, and there's a new trailer out to get you pumped for the concept. Check it out! If you're interested in following the game's progress, you can do so by subscribing to their YouTube channel, or following them on Tumblr and Twitter. We're past the grey prototype stage, people. 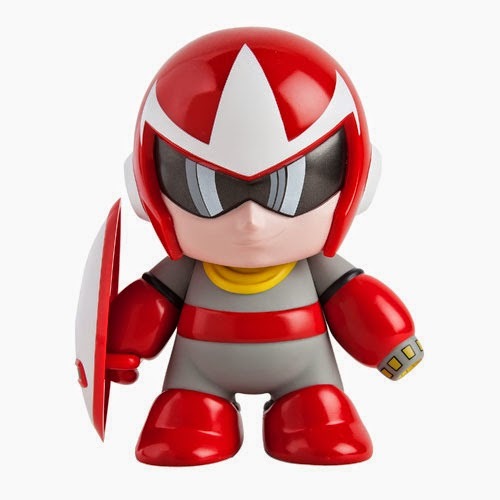 If these listings from Entertainment Earth are anything to go by, Kidrobot's 7-inch Mega Man and Proto Man figures aren't dead after all. Not only do we have our first look at the actual figures, we've got a new release window, too: April! Pending official word from Kidrobot, though, we can't say if this is the final date. In any case, pre-orders are live. Mega Man here, Proto Man here. Thanks for the tip, Ryan! 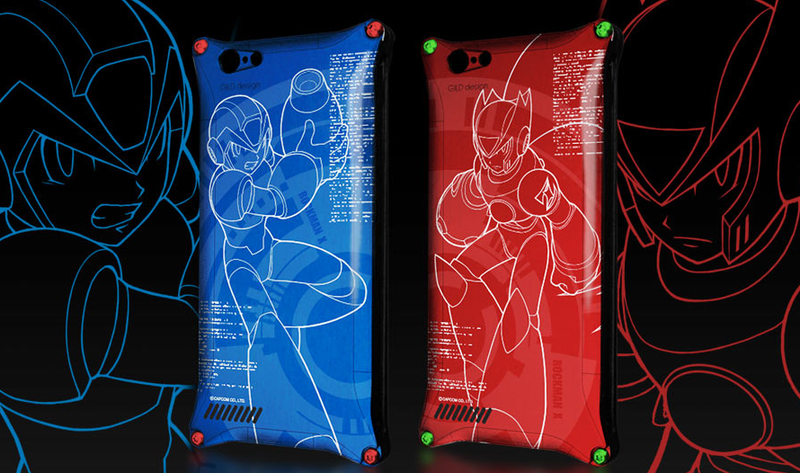 GILD Design, a Japanese-based smart phone and motorcycle part manufacturer are looking to produce high-end iPhone 6 cases based on Mega Man X and Zero. The duralumin-made cases are currently up for pre-order from eCapcom for a whopping 12,000 Yen a piece (about $100.31 US). But wait, there's a bit of a catch here! See, only the case with the most pre-orders will actually be developed. You vote with your pre-order: X here, Zero here. Pre-orders counted to the losing design will not be charged, thankfully. Personally I don't see why they can't produce both. If not now maybe later? I dunno. If you have the ability to do so, you can pre-order your case of choice in the links above. Heads up, Europe friends: Mega Man Zero 3 is hitting the Wii U Virtual this week. The third entry in the Zero series (and my personal favorite) is launching Thursday, March 26th for €6.99/£6.29. Ah, nothing like a nice surprise sale to kick off the weekend! Starting right now, the Under A Dollar Flash Sale is live on PlayStation Network. Among a boatload of titles offered, you can grab Mega Man X4 and Mega Man X5 for 84 percent off (normally $5.99 a piece). Don't sit on this one too long -- the sale ends at 9:00 am PT Monday, March 23rd. You can see the full lineup of games on the PlayStation Blog. 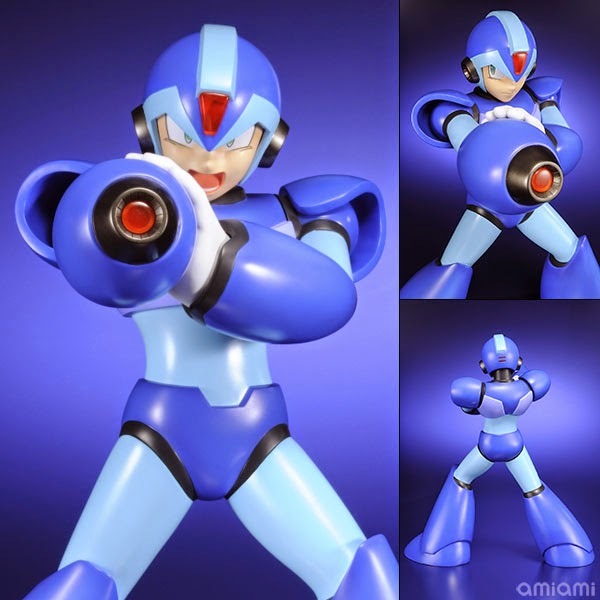 A few weeks back we got to see a prototype sculpt for X-Plus Toys' gigantic Mega Man X figure. Today, AmiAmi has posted images of the PVC figure in color... and its up for pre-order, too. 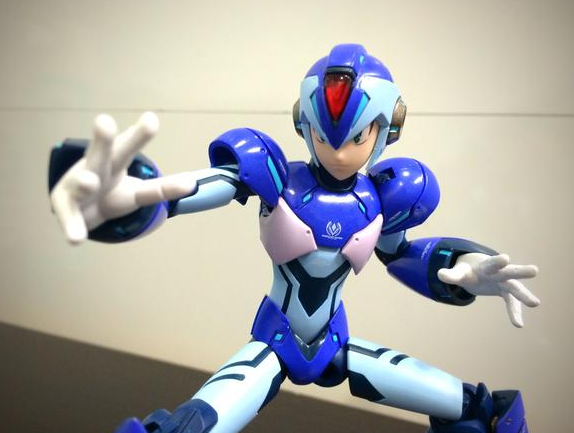 Let there be no mistake: this is the largest X figure ever produced. It stands at 40cm or roughly 15.74 inches. It normally runs for 9,504 Yen but AmiAmi has it down to 7,480 for a limited time (about $62.00). It's expected to ship in late June. That's right, the fourth installment in the Battle Network series is headed to the Wii U Virtual Console soon. Very soon! 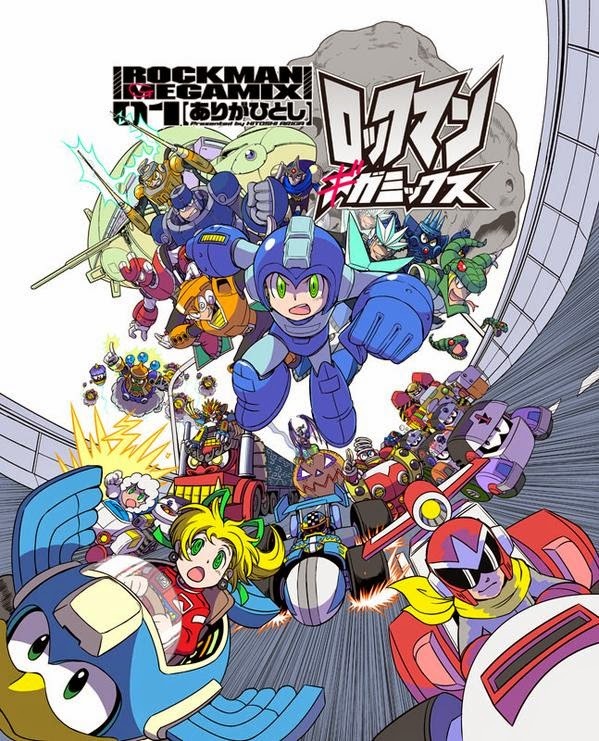 Rockman EXE 4 Red Sun and Blue Moon are slated to launch in Japan next week, March 25th for 702 Yen a piece. No word yet on North America or the rest of the world. We'll keep you posted. Our friend Skybane Zero of Get Me Off the Moon had the opportunity to chat it up with Inti Creates president Takuya Aizu. 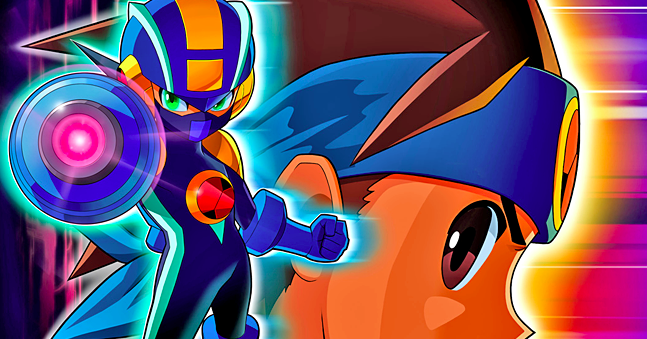 A number of topics are touched upon in the near 12-minute interview including Inti's rejected Mega Man Legends 3 pitch, the speculative relationship between Mega Man ZX Advent and Legends, Azure Striker Gunvolt 2 and plenty more. There's a little something here for everyone. Give it a watch! 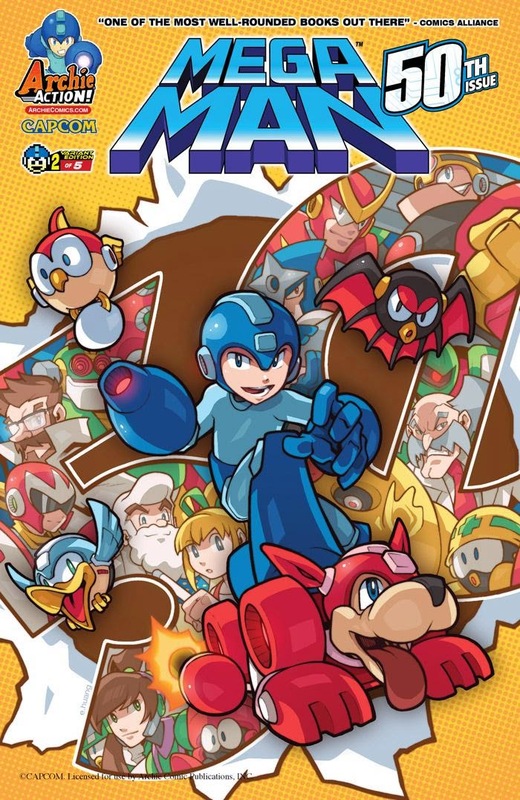 By way of Tony Ponce, word has it that Mega Man Unlimited has received a nifty little update update. Version 1.2.2 brings Challenge Mode and its subsequent modes, Omega Bosses and Perfect Robot Master battle. In Omega battles, each boss is enveloped in a powerful aura that boosts their strength and speed. If you beat an Omega form, their weapon in the main game will have its energy consumption halved. Perfect Robot Master battkes, meanwhile, are self explanatory - beat each bot without getting hit, Mega Buster only. Give it a whirl here. By popular demand, ThinkGeek's life-size Mega Buster replica is back in stock! If you missed out the first time around you can pick it up today for $79.99. What's more, you can shave off $10 with the code 'MARCHIN2RTMN' (good till March 31st). Just punch that in at the check out and you're good to go. Imagine a Mega Man game where your greatest asset is the ability to glitch the game to your advantage. Create platforms from your health bar; adjust enemy behavior on the fly; spawn clones of yourself anywhere and everywhere. This is the concept behind Glitch Warrior, a Mega Man-inspired action platformer by m07games. This time tomorrow the version 1.2 update for Azure Striker Gunvolt will be released in North America. The update will allow the game to take advantage of the New Nintendo 3DS control scheme, among other additions. Twilight is almost upon Rockman Xover. After two long years the free-to-play RPG for iOS and Android is shutting down on March 31st. For those who are still playing the game let this be your reminder. For everyone else, this is your last chance to check it out. If you'd like to give it a spin before its gone, Appleforce's guide has you covered. He lays out how to get the game, gameplay basics, menu translations, etc. Be aware that you can no longer purchase in-app proprietary currency. Refunds will be taken until Wednesday, September 30th. And on that note I bid Xover adieu. Whether or not Capcom will follow-up with a successor remains to be seen... maybe it should stay that way.